I had a great letter from a production company that are promoting the film “The Magic Piano”. They loved your video’s! Can we please help them out by giving a review of the film. It can be helpful listening to peoples opinions! So what ever you thought of the film:strengths and weakness, can you please leave your comments here! What I think about the film is that, its very cool and epic. Also, the movie has no words to it and also the music plays every time when a person moves somewhere to a different place in the movie. The movie has different type of music whenever a person is sad, angry or happy. The movie has a lot feelings to the movie. Finally, the movie has emotions like one part, the girl was having a fight between the boy and boy tried to win the fight. So what I think about the movie is that it is fantastic and also the movie was epic. I loved the part when the boy did the awesome stunt . I appreciate the effort the filmmakers have made, to create this wonderful film. The long period of time has paid off, as I have enjoyed the animation very much, so as most of my classmates. My favourite part if the film is when Anna raced down the stairs in time od the music, It gave me a fast paced, angry atmosphere. I also liked the part when Chip Chip and Anna were surrounded by dark clouds in the magic piano. It created an eerie, scary effect. To conclude, I have been entertained by this film. I loved the magic piano. It was wonderful I was pleased on how the film had a story line and it wasn’t just pointless. The graphics were great and I enjoy it. In all honesty, I personally think that the movie had great emotions and the music played so well with the acting. The bond between Anna and Chipchip started off poorly, but when the adventure began Anna began too have true feelings for him. My favourite part of the short film was when the girl started running down the stairs and the piano music got quicker and louder and I liked the part when the father and daughter met and the music when quiet. I have truly enjoyed the animation and it had a nice atmosphere to it. MY OPINON : I thought it was incredibly sad when Anna’s father left her with a boy she had no intention to like Chip Chip. WHAT I LIKED ABOUT THIS : I thought it was amazing to see all the different labels for the keys to be spotted where you wouldn’t think they would be. I also thought that when the piano started to go up in the air was amazing and how she thought that she had saw her dad in London. Also when her dad was nearly finished his work he started to imagine he was with her and he remembered the day when they were happily dancing around in the shop. Personally, my favorite part of the film is when Anna puts her coat on the boy; I think its really sweet as she didn’t act the way as she did in the beginning. I also enjoyed when she was running down the stairs. In addition, I loved the way the music matched the acting of the actors. I really enjoyed the film and thank you for showing it to us. I really liked the animation in all. If I ever tried to do an animation like it, I probably would procrastinate and abandon it, so I can’t imagine how long it must have taken to have taken each scene. I don’t understand the whole point of the parkour boy if he never was able to tag along, which was a bit of a disappointment – as is the fact that it was all just a dream in the end. They could have made it more interesting than her having a magical adventure that wasn’t even real. Besides that, the detail and storyline is amazing, and quite fun to watch. If I ever manage to organise myself up a bit and stop being lazy, then I might be able to create an animation myself like my Mum would like. For now I’ll stick to improving on flipnote studios where my animations aren’t even good because of my impatience… My final sentence is a question: was it all just her animation, and is there something between the boy and the girl or is it that they are related? Honestly i think that the Chopin movie “The magic piano” is an extraordinary piece of music which automatically sets the atmosphere and bond between Anna and her father.The music really relates to the actions of the character,by looking at the film it shows that it has been extremely though through.In my opinion my favorite part of the film is when Anna rushes down the stair as the music played by the piano turns into a crescendo which sets the tone. In the magic piano, my favourite part was when the little girl finally saw her Dad when he came from London and last but not least, when her and the brother were friends and in the middle of the story, I loved the parkour which was very enthusiastic. The atmosphere was great. I really loved the animation and how the music gradually developed and as it grows bigger. I especially loved the parkour in the video and how the animator involved it ,I thought it fitted in perfectly. The animation and music were put together really well, and all their emotions could be expressed by just the sound of the piano playing in the background. Not to forget when the piano magically evolves and fly’s into the air across the world, traveling to different places and looking out a magic telescope. The animation was really good and so was the music but most of all my favorite part was when the french teenager done the parkour. I enjoyed the Magic Piano very much and loved the relationship between the father and the daughter; it was very emotional. I had fun looking out for all the signs showing what music was playing as well. The scenes I thought fit the music very well in terms of emotion and rhythm; it is probably why I was intrigued to continue watching. My favourite part of the movie was at the end, when she saw her father again since you could tell that she missed him throughout the period when he was gone. Overall, I love The Magic Piano and how Chopin’s music has been interpreted in a movie. However, I do have one question: Who was Chip Chip’s mother to Anna? Why did she stay there? The film was amazing, every last detail from leaves flowing in the wind and the parkour from side to side, house to house and chimney to chimney. Honestly, the film isn’t the best in the world but I like it. The way the music matches the characters actions, the way every step has been carefully positioned it shows that this movie has been deeply thought through and nothing has been rushed the music matches every detail in the film. Personally, my favorite part in the movie is when Anna rushes down the stairs the music played in this scene is made for Anna’s actions. I hope you make more short films like this, thank you. I like when the French boy does the parkour on top of the roof tops and i also like when the girl runs down the stairs because the music matches the scene. This video was fun to watch as there was no words but instead the told the words and the story. i like when the french boy was doing parkour on the roof tops and on the buildings and i also like the part where the mans hat was burnt.this movie was a great experience and a very funny film. There was an amazing animation and my favorite part was when the boy done the parkour. I absolutely loved the chopin movie because the way the people moved was amazing to see. I think the models where made out of clay and materials from different things ?? My favourite part was when the piano started to fly. I loved that she imagined it and tried to remember her father. It was amazing to see that emotion when Chip Chip fell out of the piano airplane. The empotion was incredibly sad because at the start she sort of turned her back away from him . I thought the movie was fantastic! I loved the emotion and the relationship between the father and Anna, like the beginning where the father fixes her toy and held it above her in a playing way and swung her around. Also how the the names of the songs where on posters or graffitied on amazing buildings! I really admire the effort and hard work that must have been put into this, the fact that there were stunning scenes and how you would have to move each model every time!!! I also loved how Anna imagined herself going on this mind blowing journey to retrieve her father I thought it was extremely well thought out. To conclude I thoroughly enjoyed the movie and i send you all my luck, I hope you can make another just as good as this one. Thank you. i really loved the Magic Piano because of the way Chopin produced the music. My favourite character was chip chip because of the way the music fit in with him. i really loved the Chopin based movie .the magic piano, because it was happy and sad.i favorite part was when she woke up and saw dad . i also really liked that the world movie was made of clay .i would like to ask why there is no talking because i think it would make me understand the story line a bit more and if the whole thing wasn’t a dream ,would she ever find her dad?my last question is ,does Anna have a mother?in my clss we loved it so much that we went into groups and made our short movie with and Chopin track.my one is called doggies Chopin . it would mean alot if u liked it.overall i really liked the magic piano and i hope you make a other movie just like it . The movie was brilliant! My best part was when Anna was dreaming the whole adventurous story. I also liked the way you wrote what tune it was it was building or a clear place where everybody could see it. I found it funny when Anna put the man’s, who locked up her house, hat in the toaster. I wanted to know what the relationship between Anna and Chip Chip. Are they cousins? To end in a good note I thought this movie was fantastic and I hope you make another movie as great as this. Thank you! I really like the animation because it was very adventurous and there was a lot of tension which I love, created by the music, especially when Chip Chip and Anna were fighting. 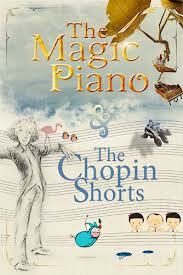 I honestly think that Chopins movie ‘The Magic Piano’ is incredibly moving and shocking. It shows how strong a bond Anna and her Father have and how far their imaginations would go just to see each other again. Intentionally, I thought it would be a very boring and predictable film but instead it showed me how to relate to someones feelings and movement through music. My other highlights of the film is that at first Chipchip showed quite a mysterious attitude towards Anna but their emotions soon changed throughout the film and a stronger bond was formed.Overall this movie was amazing and i would definitely recommend this to my friends. I really loved the movie, it was fantastic. At the start of the New Year term, we were learning a chord on the piano. Then we moved onto Chopin and his music. I started to love Chopin’s music so I downloaded the Smule piano app and got all of Chopin’s music and started playing them. Chopin’s music really inspired me to keep playing and writing songs. The Magic Piano was very emotional to me and my favourite part was when the French boy was chasing Chip Chip and Anna. I got really scared when Chip Chip was falling off the air craft. 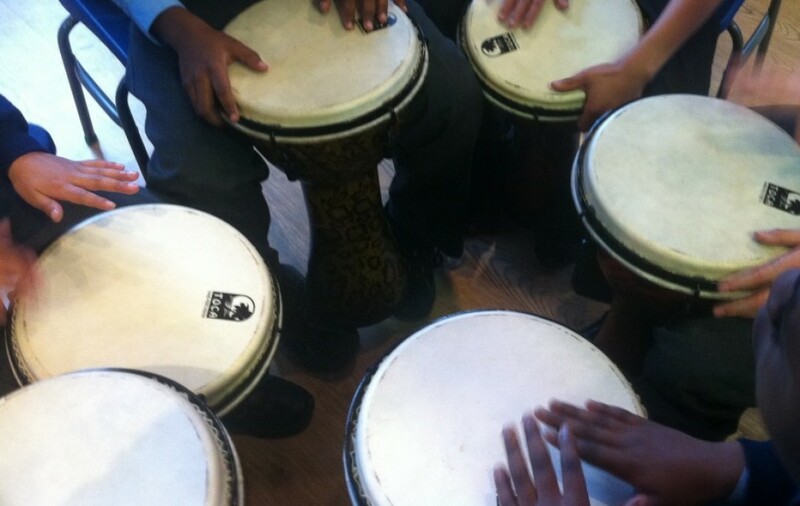 I want to thank my music teacher, Mrs Schneider, for giving us the opportunity to watch the film. Overall, the film was good and I liked it!!! My highlights on ‘The Magic Piano’ is that the music shows in real dimension the true emotion of the characters during the film. Also the great thing about this film is that the love between Anna and Chipchip isn’t so strong at the begin and it seems that the trip on the magic piano made her feel more loving and caring for Chipchip yet all this was just imaginary and this really shows how a child’s imagination can change something as big as a bond between two characters. Honestly I thought that this film wasn’t going to be as good as I predicted though it still leaves me wondering how you manage to put such emotion and detail into a character putting aside the fact that the creators are such good artists? I really loved the Chopin based film,The Magic Piano,and it is a creative story.I liked how they used to the music to tell the story without the characters,Anna and Chip-chip,saying any word.My favorite part of the film was when the piano broke and she saw her dad ran to him and it was emotional to her.Here are some questions i want to ask if they were real.Anna were you scared when the piano started spinning uncontrollably?Why did you put the man’s hat on the toaster?Were you frightened when you were controlling the piano?At the start why was your mum not there?That was my opinion and i cant wait to see my other friends’ opinion. i really love the animations because the creation was like it was real and the people who made it is good.I will give a great clap to them because they worked hard and they deserve a clap.I liked the animations because it looks real and it gives a emotion how the people act it out. I think it is amazing how they put the music and the animation together to make a film. It is very touching and it has a lot of emotion that goes well with piano music. I like how imaginative the writers were and how the name of the piece of music pops up some where (like when there is an advertisement on a building that says the name of it). I really enjoyed this film and I hope you will be making more like it. I love the way that how the people have been made and how the graphics consume the music around, and its not like a Chopin you’d watch with only around 12 objects. For example, lots of time has been used to make this wonderful Chopin. My best part was when Hanna was going down the stairs an in an instant the black and white block where circling around. In addition, when she was going down the stairs, the piano music flowed with the way she ran down. My second best bit, is where they made all the pieces go to the piano and it looked magnificent, because how the objects swayed through the air. To add, I also really liked when it was all a dream. I disliked when the country’s went away so quick, like they were at France then it skipped to a different place. I wanted to observe and see what else you could have added. Personally,I really like this film because I am amazed how they did this using pictures not animation so its pretty cool.My favorite part is when that boy does the parkour across the buildings, but how did they make him in the air maybe by strings I don’t know? So, I really like all about it especially that it has been made by taking pictures. I absolutely love the animations in this film. The thing I like most about this film is when the flying piano all comes together , I liked this because it must’ve taken a tonne of shots which you should be proud of. took to make the whole thing!!!! Thank you BRECKTHRU for your amazing film the magic piano. The bit I like most is when the music plays and the kid dose parkour. But overall I really liked the film! I loved the film but the magic piano could of been a bit beter. The emotion between the father and daughter really felt real; like they are actually there. The way the music titles pop up helps because if we really like a piece of music (which i do) we can search it. I love the way that Chip Chip and Anna can both see there loved ones through the telescope as it really sets a scene. In what way are Chip Chip and Anna related (if they are)? How long did it take to make the movie? Are any parts of this film based on real experiences? I was amazed at how the different pieces of Chopin, fitted in with the different scenes of the Magic Piano.We listened to chopin music before we started the topic and then we had to create a movie to 2 different pieces.When we watched the movie, I enjoyed the storyline and how its sort of a quest to find her father. It had a lot of emotion when she had to leave her dad and how her emotions change through-out the whole movie. This shows us that people change when they loose something important. The most inspiring part is when shes traveling in the sky. It inspires young people to take up adventuring the world to learn about the different countries and learn about their cultures.Also, Anna is quite a nice, cheeky person. Its surprised me that she was a bit mean to Chip Chip when hes was trying to keep her company. My only question is how did u manage to get the music to match the characters movement? The magic piano is amazing and I like it so much…. Also I like the bit when the boy was doing free running and parkour. THE MAGIC PIANO WAS very very good :)…..
good film but at the end it got kind of boring but apart from that the movie was good. The film was great. The atmosphere was amazing !